Playgrounds should be for everyone! 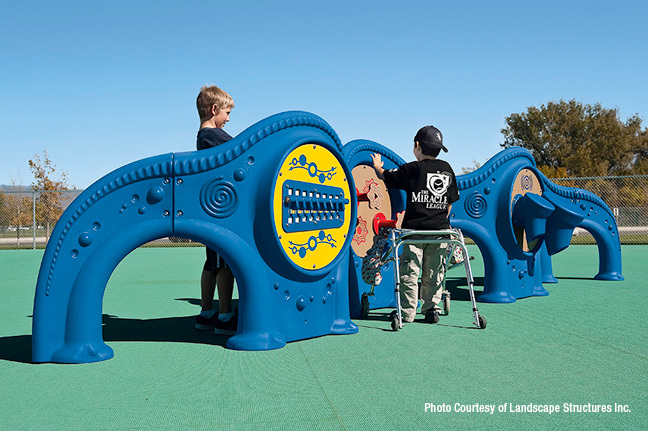 The Madison Claire Foundation helps communities to set a new standard of accessibility and innovation to change the way people thinkabout play. Our first project – Madison’s Place playground – will serves as a model for future projects in other communities in Minnesota. Our mission is to enhance the lives of children and families living with physical and developmental disabilities by giving them the opportunity to play alongside others through the creation of a universal playground. Playgrounds should be for everyone!